If there’s one thing Accountable Care Organizations (ACOs) have learned when taking the initiative to capture more healthcare dollars, it’s that higher risk can translate into higher rewards. Many ACOs that have been willing to take on increased financial risk have achieved improved performance and have seen a boost in revenue by mastering population health management and cost management, and by entering risk-bearing arrangements such as the Next Generation ACO, bundled payments, or various primary care programs. To encourage more increased risk arrangements, commercial payers and the Centers for Medicare & Medicaid Services (CMS) continue to structure payment models to incentivize providers to deliver high-quality and cost-efficient care. Providers need to understand the disease-burden of the population and the care management requirements under each of the payment models to determine if they have the resources, analytics, provider and payer network, and governance to succeed. Providers should also understand their organization’s risk tolerance and that of their provider partners. With a wide disparity in risk exposure between payment models – from modest incentives based on cost and quality performance to taking on full risk for a population – selecting the right model consistent with your organization’s short and long term goals and capabilities is critical to your success. With the various, complex payment models currently in place and on the horizon, there’s no one-size-fits-all approach and organizations are seeking help to determine which model is right for their organization. When engaging a partner, select an organization that can provide the diagnostic, strategic and operational expertise to help you transition and succeed in value-based payment arrangements and support you through each step in the process. 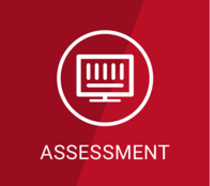 Step 1: Assessment – Determine which payment models are best for your organization by identifying capability gaps and analyzing your provider network integration, governance and incentive structure; care coordination with at-risk populations; and financial analytics and management to address your network’s cost drivers. 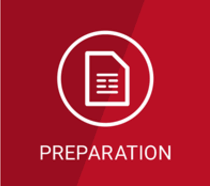 Step 2: Preparation – Create a step-by-step process to evaluate your organization’s readiness to take on additional risk including how to gain capabilities needed, articulate value to key stakeholders, and understand economic implications, operational and program compliance requirements. 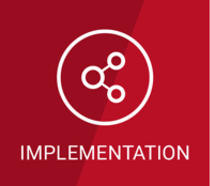 Step 3: Implementation – Deploy proven clinical integration, population health management and financial risk management solutions to integrate network design and development, population health analytics, care management, provider performance and financial risk modeling and consulting. 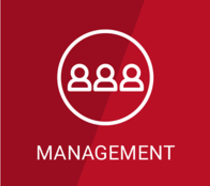 Step 4: Management – Align financial incentives and reimbursement, manage risk-based contracts, provide governance and infrastructure, administer accounting and reporting, analyze cost trends and drivers of financial and quality performance, and employ benchmarking and forecasting to optimize your payment models. No matter where you are in your journey to risk, take your ACO to the next level by choosing a partner at the forefront in innovative value-based care services and technology to help you successfully navigate complexities so you can benefit from superior financial performance, higher quality of care, and greater rewards.